The Yukon Quest International Sled Dog Race spans some of the harshest and most beautiful winter territory anywhere: 1,000 miles between Fairbanks, Alaska and the city of Whitehorse in Canada’s Yukon Territory. 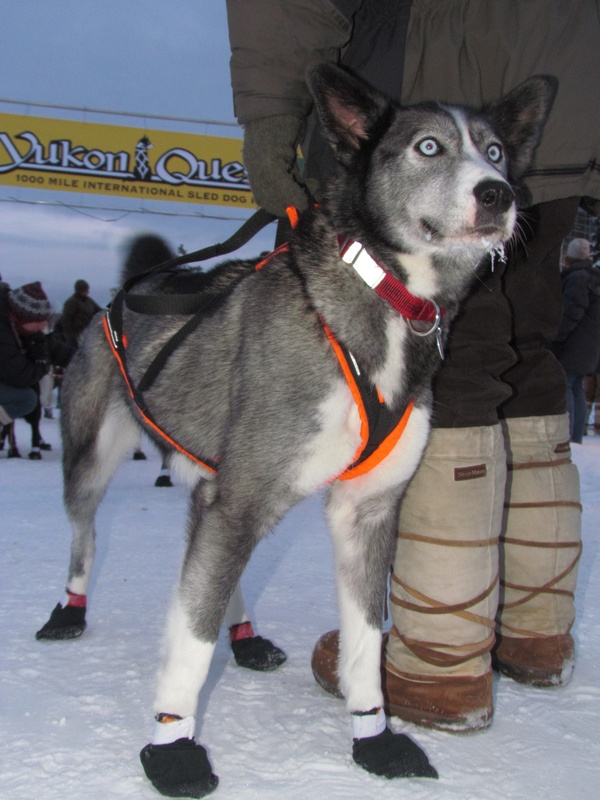 Known as ‘The World’s Toughest Sled Dog Race,’ it’s an event like no other. Run every February, the race is phenomenally challenging, crossing four mountain ranges, including the dangerous and intimidating 3,685-foot Eagle Summit, as it loosely follows the course of the mighty Yukon River. Now a new book by Alaskan author Helen Hegener takes readers checkpoint by checkpoint from Fairbanks to Whitehorse, an extraordinary journey in which the author shares insights and details of the trail, along with the incredible history of both the race and the wild and beautiful land it crosses. Over 180 photographs by the author and by photographers Eric Vercammen and Scott Chesney provide an unparalleled look at the trail, the mushers, the dogs and more. Also included are Trail Notes for Mushers, detailing the route in both directions, compiled by two-time Yukon Quest Champion John Schandelmeier. The Yukon Quest Trail: 1,000 Miles Across Northern Alaska and the Yukon Territory, text and photographs by Helen Hegener, additional photos by Eric Vercammen and Scott Chesney; with Trail Notes for Mushers, by two-time Yukon Quest Champion John Schandelmeier. Published December, 2014 by Northern Light Media. 151 pages, 8.5″ x 11″ full color format, bibliography, maps, indexed. $29.00 (plus $5.00 shipping and handling). This entry was posted in Books, Sled Dog Races and tagged Alaska, Dawson City, Eric Vercammen, Fairbanks, Helen Hegener, Lance Mackey, mushing, mushing history, Northern Light Media, Scott Chesney, sled dog race, sled dog racing, sled dogs, Whitehorse, Yukon Quest. Bookmark the permalink.